Swipe it gently across your face. The ingredients do all the work, no need to press hard! We're sorry to hear about your experience with this product! We'd like to hear more about what happened. Please give us a call Monday-Friday 9am-5:30pm at 877-754-6411. We look forward to speaking with you. Almost at the bottom of my first jar of the lemon exfoliating slices and I am head over heels in love! I am a 50 something skin enthusiast and always looking for my “perfect skin routine” and I have found it! I have used Clean and Clear cleanser and moisturizer for several years and my skin has felt nice. 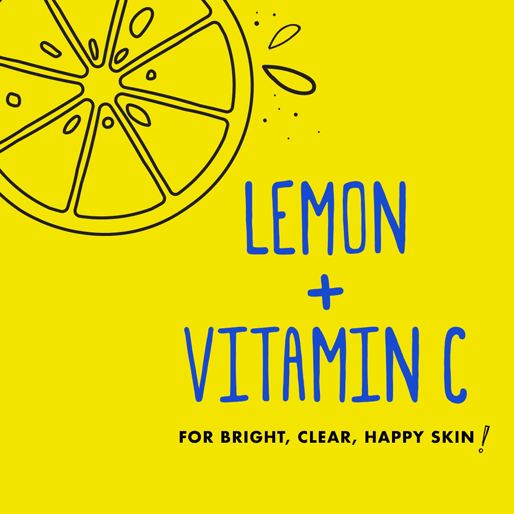 I JUST added the lemon exfoliating slices to my routine and WOW my skin feels clean and tingly and amazingly bright! Try them...try them NOW and tell me how your face feels! I absolutely love this product as well as the entire line of products! With the wipes, I can physically see the dirt coming off my face. It dries out my skin enough to need moisturizer, and have the moisturizer keep my skin hydrated, but not oily. I also LOVE the smell!! I was excited to try this product but it did not produce good results on my skin. I used two “slices”, two nights in a row. That was last week and my skin is still recovering from it. My pores sting, and are puffy and red. I have dark skin so it is unusual for my skin to turn red. Perhaps this is because I have dry skin but if this product is not suitable for dry skin then that should be indicated on the packaging. Hi there! 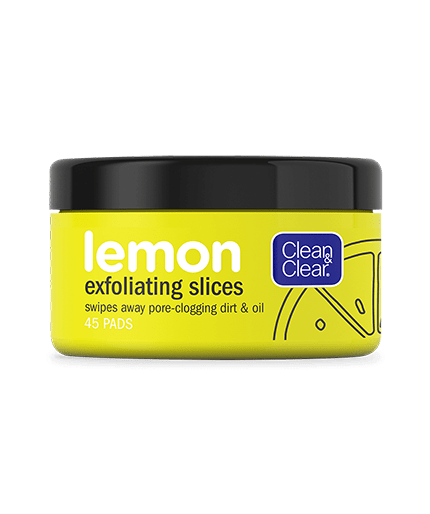 We’re so, so sorry to hear about your experience with our Lemon Exfoliating Slices. When you have a moment, please give us a call at 1-877-754-6411 between the hours of 9:00 AM – 5:30 PM ET, Monday – Friday so we can learn more about what happened and see what we can do to help. We hope to hear back soon! We're sorry to hear about this. We'd like to learn more about your experience. Please give us a call at 1-877-754-6411 M-F between the hours of 9A-5:30P ET. Thank you and have a great day. I don’t know exactly how much alchohol they put into these pads, but seeing as it’s listed as the second ingredient, I wouldn’t be surprised if it was a lot; the alcohol smell overpowers the lemon smell. Furthermore, one swipe over my cheek, which is free from blemishes besides a splash of redness over my cheek bone, the entire area became red and irritated. I love all the other products in this set, but this was a disappointment. We're very sorry to hear about this experience you've had with our product and we'd like to learn more. Please give us a call at 1-877-754-6411, Monday - Friday from 9 AM to 5:30 PM ET. We hope to talk soon! I have a masters in Esthetics and have worked for all the high end skincare lines and I honestly can say this product has literally transformed my skin. I’m 50 with normal skin but I model and wear heavy HD makeup a lot which caused my face to get clogged. I use these pads 2x a day and not only does it gently exfoliate my pores are completely clear! Please don’t ever discontinue this product. It’s amazing!